Will part-time schemes lure job-seekers? In a release, the Employer Alliance (EA) said hundreds of thousands of Singaporeans could re-enter the workforce and ease the nation’s manpower shortage if more companies adopted flexible work arrangements. Better talent attraction: According to MOM, there are more than 160,000 economically inactive residents, all of whom want to find work during the next two years. Providing flexible work arrangements is the key to accessing this labour force. Cost savings: Higher retention rates will save the time and money spent on recruiting and training new hires. There will also be savings in downtime as new hires will also take time to build up their knowledge and experience. Mobile work, in particular, may result in savings in real estate. There are more than 418,000 economically inactive residents in Singapore aged 25 to 64, of which 336,000 are women. Of these, more than 160,000 want to find work during the next two years. However, many Singaporeans are unable to work on a full-time basis due to their family commitments such raising young children or caring for elderly parents. See: Telecommuting: Absent Workers, Productive Office? Flexible work arrangements such as working from home and part-time work will attract these residents back to work and increase the capacity of Singapore’s workforce. The traditional office based jobs from ‘9 to 5’ in many companies will also need to change if more flexible work opportunities are to be created. 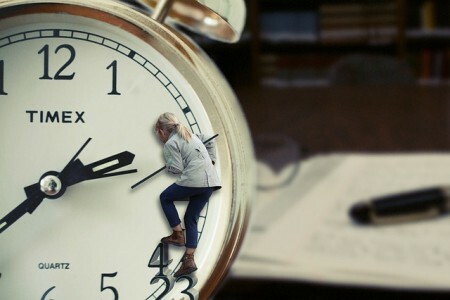 Singaporeans work some of the longest hours in the world – with many clocking up to 11 hours at work a day. Two major reports commissioned by EA since 2011 has found that the focus of employers on ‘face-time’ (the time an employee physically spends at their place of work) is a major barrier to the introduction, adoption and implementation of flexible work arrangements. Another option that is slowly gaining traction in Singapore is permanent part-time work, where companies employ staff to work a set number of hours a week on a part-time basis, either on a permanent or fixed contract. Unfortunately, many employers still place a high value on ‘face-time’, which affects areas such as compensation. Employees who do not put in the expected ‘face-time’ are perceived to be less committed to the company and contributing less, which is mostly inaccurate. But with more employees asking for flexible work arrangements, employers will be forced to change. Part-time and flexible work arrangements help to expand a company’s capacity and capabilities. The greater use of flexible work arrangements leveraging technology enables companies to access a larger pool of employees who’d be otherwise unavailable. This includes a large number of women and older workers with extensive experience and high skill levels.